10 convenient vascular vein center locations across the surrounding East Orlando area. "The results are great! I feel no more heaviness, no leg pain and there is no more swelling! I have met many doctors, and I have had injections in the past but thanks to Dr. Meyer, I feel that the problem has been finally solved!" Concerned about your varicose veins? Our vascular health team at East Orlando Vein Care Specialists will provide a world class individualized procedure and help alleviate your health worries. Are you experienced any of these from this list? If so then you then please call us. Click here to schedule a consultation! "I have spider veins; my mother and grandmother have them too. For many years I have had Sclerotherapy sessions. Recently I had combined Sclerotherapy, and laser. The results are great. With laser, I needed fewer sessions. I am very happy with the cosmetic results." 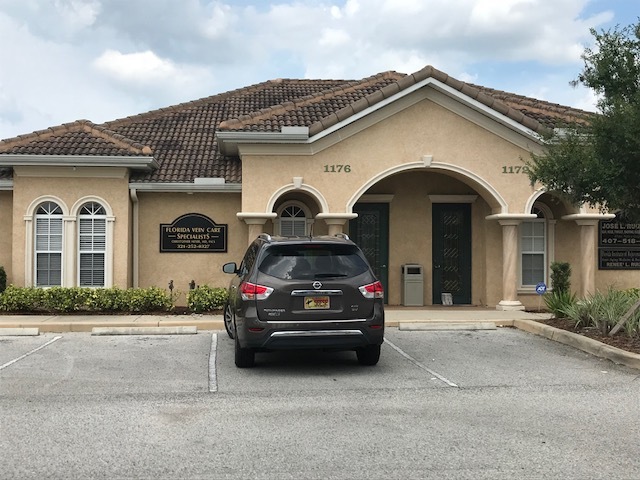 Our East Orlando vein care center offers the most advanced technology and treatment currently available on the market for varicose vein and spider vein treatment. Most vein procedures are covered by private insurances as well as Medicare. Our East Orlando vein care center will receive pre-authorization from your insurance provider as well as outlining specific benefits of your coverage plan. We also offer third party financing options as well as reasonable out of pocket pricing options. Whether you live in East Orlando and need varicose vein treatment or removal of venuous ulcers using a laser or spider vein treatment using the VeinGogh method, we will take care of you! East Orlando is only one of our 10 conveniently located varicose vein treatment centers across Florida. Each location offers advanced non-invasive treatment options for varicose veins, spider veins, sclerotherapy, and venous disease of the legs.